Modern carbon rims and tires create a real challenge for traditional tire levers, and the new wave of tubeless setups have taken the challenge to the next level. Tyre fits are tighter than they've ever been, while carbon rims require non-metal levers to resist damage to the bead or brake surface during use. The Silca Premio tyre levers combine a high strength forged aluminum lever with a semi-rigid nylon pad on the rim side of the lever only. This allows the overall lever to be thinner, yet stiffer and stronger than either full plastic or metal core designs. 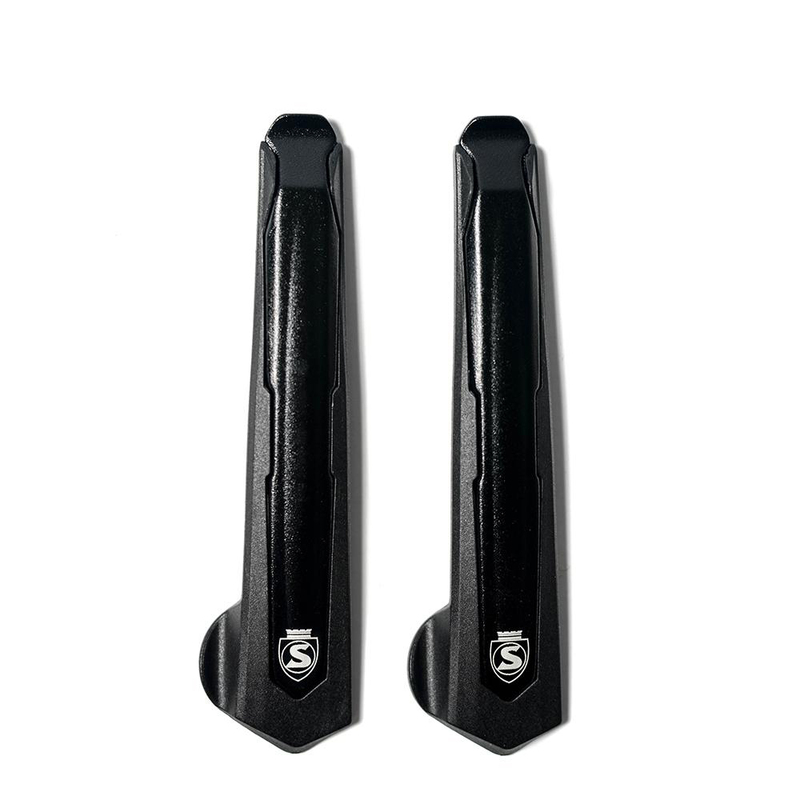 Even better, Tyre Levers Premio utilise a flex-core zone which allows the nylon pad to conform to the curvature of the rim during use for maximum distribution of load. Due to the high strength full-metal blade, Tyre Levers Premio are 25-30% narrower than other lever designs, making them ideal for very tight tires and tubeless setups where access to the tire bead is very tight. Bought these to accompany the Silca Solo wallet. Not the cheapest levers out there but the quality does look good and they are very lightweight. Fortunately, I've not had a lot of experience in using levers, but unfortunately I got to use these on their first outing! Hard to compare the performance of these against other levers, but they worked on my new deep carbon rims with no damage, so happy enough so far.